King James, born James Ruhumuriza, is a Rwandan singer and performer of R&B and Afrobeat music. He is known for his energetic and entertaining live performances. Early years Ruhumuriza was born in 1990 in CHK, Kigali district, Rwanda, the fifth of seven children in a Seventh-day Adventist family. He completed his secondary studies at the French-language Ecole APE Rugunga, and as of 2013 is enrolled at Mount Kenya University where he is working toward a degree in Journalism and Mass Communication. As a child he aspired to become a professional football player. He was later exposed to the songs of American R&B artist Brandy and became inspired to begin composing and performing music. Musical career The musical career of King James was launched in 2006 with the release of a single that met with little success. He opened shows for more popular artists for the next several years. The mid-2009 release of his single "Intinyi" attracted critical acclaim and launched his solo career. By the end of 2010, King James had firmly established his popularity as a leading R&B artist, competing for market dominance against Rwandan artists Tom Close, Meddy and The Ben. The departure of Meddy and The Ben to the United States provided King James with greater exposure and his popularity grew further. He signed to the label Kina Music and released his debut album, Umugisha, in 2011, followed in 2012 by a second album entitled Umuvandimwe. After a temporary lag in popularity in late 2011, the artist enjoyed a resurgence of fame following the release of two widely successful singles, "Ndakwizera" and "Buhoro Buhoro". Awards King James was voted Artist of the Year in the 2011 Salax Awards, having previously won the award in the category of Best R&B Artist. In 2012, he won first place in the Primus Guma Guma Super Star annual talent competition. King James was one of three Rwandan acts to perform at the 2013 Rwanda Day held in London. In addition to touring widely in Rwanda and the countries of the East African Community, he has performed in the United Kingdom, France and Belgium. Personal life and relationships His personal life has been a subject of media attention. Although a perfectionist in the recording studio, in social settings he is known as a simple, unpretentious and friendly person who is well liked within the industry and in the media. He refuses to drink or smoke and enjoys reading books on a variety of topics. The media describe him as handsome and although King James has not spoken of having a girlfriend, reporters speculate on his romantic attachments, including a suspected secret relationship with Rwandan singer Knowles. Other activities In 2013 he established the King James Foundation, which aims to improve quality of life for the most vulnerable in Rwandan society. 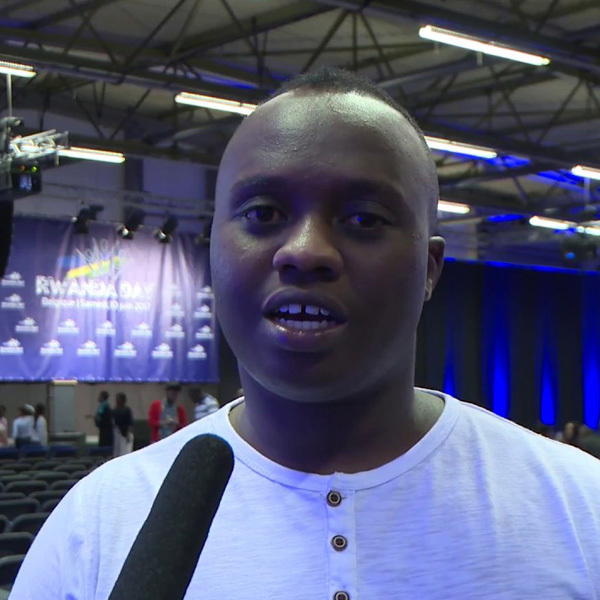 He has declared an interest in providing financial support and recording studio access to fledgling Rwandan artists.